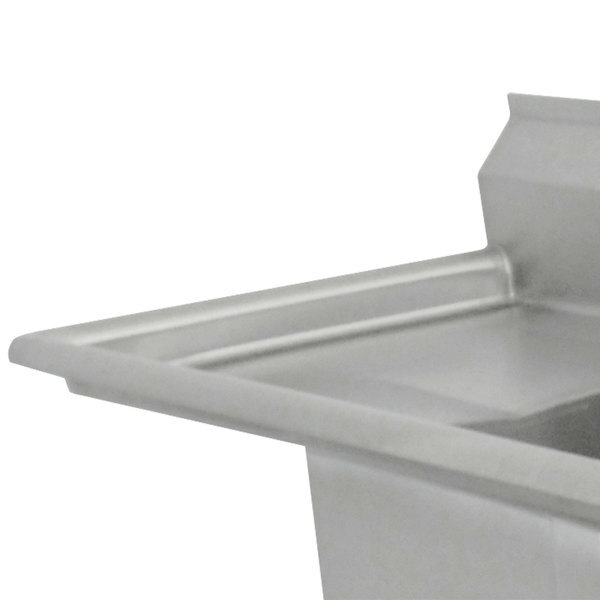 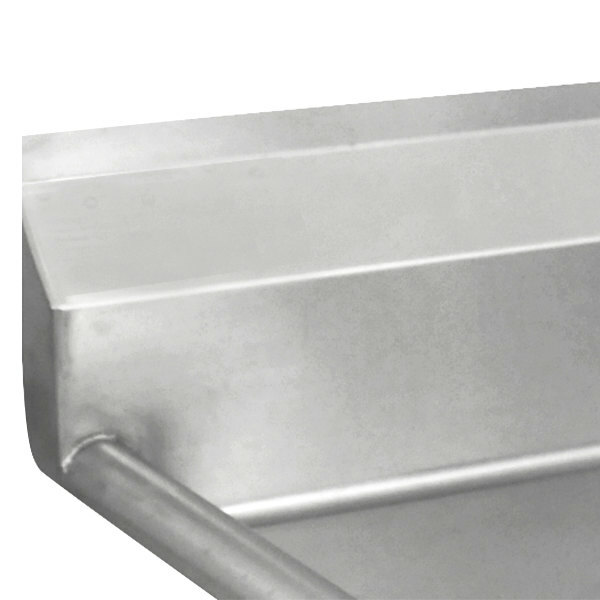 Left Drainboard Advance Tabco FC-3-1818-24 Three Compartment Stainless Steel Commercial Sink with One Drainboard - 80 1/2"
This versatile Advance Tabco FC-3-1818-24 three compartment stainless steel commercial sink with one drainboard allows you to conveniently complete the entire dishwashing process--washing, rinsing, and sanitizing--within the same unit! 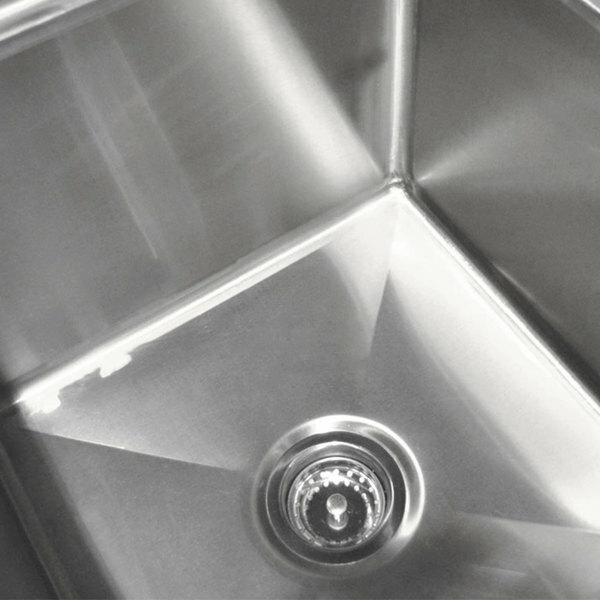 This sink is constructed of 16-gauge type 304 stainless steel that is exceptionally corrosion resistant. 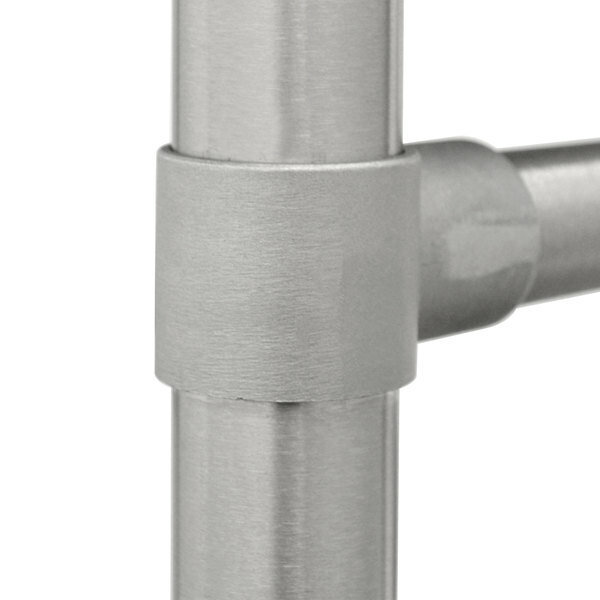 Its stainless steel legs have adjustable stainless steel feet for maximum stability. 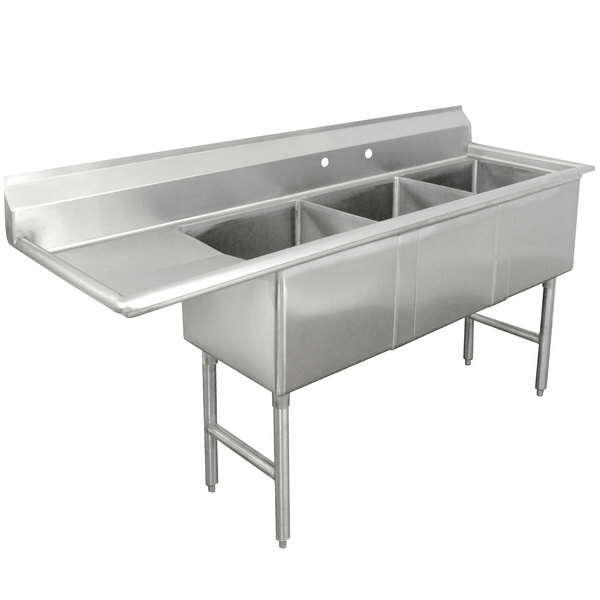 Left to Right: 80 1/2"
Advance Tabco FS-3-2024 Spec Line Fabricated Three Compartment Pot Sink - 65"
Advance Tabco 9-3-54 Super Saver Three Compartment Pot Sink - 62"